Good morning to all, on what should be a well-earned rest from writing the day after Thanksgiving. Unfortunately, it appears my prediction that “Black Friday” may take on a whole new meaning this year, as just 36 hours from my last RANT I have a RECORD-LONG list of “horrible headlines,” which I fear will be still longer by the time this missive is published. All hell is breaking loose financially the world round (not withstanding this morning’s DESPERATE PPT goosing at the NYSE opening), and I simply do not see the thin threads of support holding Europe together surviving much longer. Once again, I will conclude this RANT with my “message,” but not before I update you on the political, economic, and social horrors rapidly engulfing the globe. Today, I am not simply moving from East to West, but by topic, starting with the widespread social unrest resulting from the global economic collapse. To start, let’s discuss the reinvigorated “Arab Spring,” which looks set for a “2.0” revival in the coming months as economic conditions continue to worse despite rising oil prices. Higher oil prices benefit a very small proportion of the dictator-led Arab nations, but higher food prices impact all thanks to rampant, worldwide MONEY-PRINTING. As I’ve noted constantly over the past six months, currencies the world round are collapsing as funds FLEE lesser nations to the so-called “safety” of the U.S. dollar (for now), causing rising inflation nearly everywhere. Lull in Egypt’s unrest – for how long? preparing to attack Syria (under pretense, I’m sure, of “spreading democracy”), a nation DANGEROUSLY close to the potential focal point of a coming World War, Israel. The “peace-loving” U.S. is pound-for-pound the most warlike nation in world history, surpassing even some of Europe’s most notorious imperialists. Reading this list will shock you, as few realize the extent America has imposed itself on the world in the name of “peace” over the past 235 years. I’d bet the U.S. government has killed more American Indians alone than most nations have killed foreign invaders…. Finally, on the topic of political/social trends, I need to RANT about how vile this “Black Friday” retail sales event has become. Amidst the accelerating economic breakdown of the nation, wherein unemployment, foreclosures, bankruptcies, and debts are rising exponentially, I have never seen more aggressive advertising from retailers desperate to stay in business by luring the masses to “doorbusting” Black Friday sales events. Such events are, in essence, frauds themselves given that customers are teased with a handful of “too good to be true” sales, which are just that, as such loss leaders are in limited supply, only available for the first few dregs through the door at 4:00 am, midnight, or even 10:00 pm last night for doorbusting king Wal-mart. I mean HOW LOW can corporate America sink, in that major American mainstays such as Walmart, Sears, and even Toys R’ Us use the actual word “doorbusters” in announcements, a term coined three years ago when a Walmart employee was actually KILLED by stampeding Black Friday shoppers? DVR sales are completed, showing just how few people “get it” in 2011 America. Of course, there are some retail businesses doing fine and dandy, and doing so without aggressive, misleading “bait and switch” advertising tactics. One such business is firearms and ammunition, and another ‘survival stores’ selling products for utilization in the event of food shortages or other extreme consequences of societal or economic breakdown. As an aside, I have utilized with great success the fine websites www.mredepot.com and www.honeyvillegrain.com for such items. lead the most powerful nation (for now) in the world. There is some hope for America yet, but ONLY after it rises from the ashes of its upcoming COLLAPSE. All that, and I haven’t even gotten to the ECONOMIC woes expanding rapidly throughout the globe, particularly at GROUND ZERO in Europe. As noted above, it looks highly likely the situation will lose all semblance of control in the coming months, at which point an “every man for himself” environment could rapidly develop as the viability of major currencies such as the Euro, Pound, and Dollar come into question. In Europe, I don’t know where to start, as there are literally 20 “horrible headlines” below to bring to your attention. Perhaps I’ll start with the following blog post this morning from Alessio Rastani, a trader who shook the financial world with his September BBC interview predicting collapse of the Eurozone. He believes two, and perhaps three TBTF banks are on the brink of collapse, likely within weeks – the so-called “Lehman Event” which could commence the END GAME for global economies, currencies, and the gold Cartel. Due to the growing probability of an IMMINENT European collapse, it looks like the movement to create “one-world government” (i.e. martial law) across Europe is gaining strength. All of a sudden, the top European “leaders,” particularly from nations most endanger of epic collapse such as France and Italy, are discussing the destruction of national sovereignty as an emergency measure. There is simply no way such draconian actions can occur, in my view, without major social unrest amongst tens of millions of people, and potentially civil or revolutionary wars. …by the way, I have avoided talking about the mid-tier investment bank Jeffries, promoting itself as the ‘last remaining pure investment bank in America.’ I dealt with these “mavericks” for many years in the oil service business, and can tell you they have as loose financial morals as any firm I’ve come across. It looks like they, too, have destroyed themselves with European sovereign bonds, and good riddance to this soon-to-be acquired for pennies-on-the-dollar piece of garbage. likely, the CFTC will simply lie about accounting rules so it appears JPM is less short when they in fact are not. the U.S. government, which has more incentive for the fraud to continue than ANY ENTITY ON EARTH, brings it to a halt. On Wednesday, I had a stimulating conversation with someone interested in learning about the fundamentals of PHYSICAL gold and silver investment. I was asked all the right questions, the type of questions a smart, skeptical person SHOULD ask about WHY things are happening, and WHY I believe certain events will occur. At one point, we calculated the value of ALL THE GOLD AND SILVER IN EXISTENCE against the world’s REPORTED fiat currency and Central Bank gold holdings, as well as contingencies for the likely ACTUAL fiat currency and Central Bank gold holdings. In all cases, the response was one of incredulity, to the point it was difficult to even conceive how undervalued gold and silver actually are. I mean, think about it, ALL the investible silver WORLDWIDE is valued at less than $35 BILLION (most of which is not for sale), compared to $50 TRILLION of printed currency and $50 TRILLION of overvalued stocks and bonds. surge to uncharted territory, I expect such calculations to be made by MILLIONS of people worldwide, yielding MILLIONS of “EUREKA MOMENTS” when people realize gold and silver are in fact REAL MONEY, not “commodities” as the mainstream propaganda has been purporting since the gold standard was abandoned 40 years ago. At this point, I expect the “no offer” situation I have been forecasting to emerge, where prices will need to rose exponentially to bring meaningful supply into the market. Such events will coincide with a collapse of the Cartel, as occurred with the London Gold Pool in 1968, and a similar re-rating of Precious Metals in markets finally freed from official suppression. From the time the London Gold Pool collapsed, it took just 12 years for gold to rise from $35/oz to $900/oz, a nearly 30x increase which I would not be surprised to see a repeat of in the coming decade. More importantly, however, will be the UNIVERSAL REVELATION that gold and silver are MONEY, a EUREKA MOMENT that will transform GLOBAL thinking, reverting it to what has been cumulatively learned over five millennia – that ONLY PHYSICAL GOLD and SILVER possess ALL the traits that define MONEY. Dollars, Euros, or Yen they own, but it would surprise you to know that in some parts, particularly INDIA, the world’s largest gold buyer, people still think of their net worth in terms of how much GOLD, SILVER, and other ITEMS OF REAL VALUE they own. I believe the global EUREKA MOMENT that gold and silver are MONEY will spawn a sea change in such thinking, to the point that MOST people will view wealth as the Indians do. demonstrating the fallacy of those worrying about “top calling” and “bottom fishing” in the PHYSICAL precious metals arena. As currencies continue to collapse against ITEMS OF REAL VALUE in the coming years, only the NUMBER OF OUNCES you own will matter, not the exact price paid to get them. 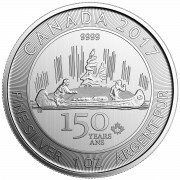 Moreover, in a world where gold costs nearly $2,000/oz (soon-to-be vastly higher), the difference in OUNCES you can purchase at say, $1,700/oz compared to $1,600/oz is miniscule. Andy: Another insightful article. I could not agree with you more that the cartel will find ways to continue shorting pm’s no matter what bogus “smoke and mirrors” ploys are inacted by the CFTC. A leopard cannot change its spots. It is by nature a predator and will continue to behave as one until destroyed. It’s sad that in today’s society, “thinking out of the box” is as simple as assuiming criminals will alwasy be criminals. Thankfully, the handful of us that “get it” will be able to PROTECT ourselves. Once again we are left with the conundrum, if NONE of the fundamentals have changed and things economically are getting worse, why is the price of gold and silver being hammered? It couldn’t be paper manipulation, could it? One thing I have learned in these turbulent times, patience. Prepare for the inevitable, and ignore the so-called “experts” giving out so-called legitimate advice. Again back to basics: If it doesn’t make sense, then it just isn’t true. Thanks for your wisdom, Mr. Hoffman. And please call me Andy, or at least – RANTING ANDY! Andy, Great article. Keeps things in perspective with regards to what main stream propaganda spews forth. I agree with you regarding Ron Paul. I’ve never actively supported a candidate before. Simply voted for who I hoped would be the lesser evil, while in reality they were more alike than dissimilar. Dr. Paul is simply the only adult in a race of owned, shallow, self-serving frat boys wanting to be associated with vestiges of power. Though his election seems a long shot, I do what is possible so I won’t have to look back someday and wish I’d done just something for the last hope of liberty our Founder’s risked all for. I believe the only way Ron Paul wins is if the system has collapsed, or is close to it, by November 2012. No matter who’s in charge, the U.S. financial system will completely collapse and “reboot” before meaningful improvements can occur, a process that may be terrifying, painful, and lengthy. But a man like Ron Paul will restore the nation’s REPUTATION, which today is at its lowest point in 235, sinking like a stone. All you need to do is view this video of rioting Wal-Mart “Black Friday” customers to get my gist. Price paid DOES matter, for it equates to the number of ounces one can acquire in the here and now with their limited dollars. 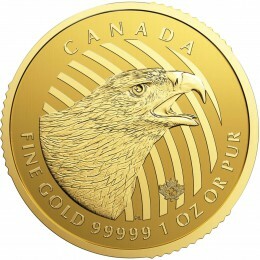 When the dollar price of precious metals is disregarded then of course it will matter HOW MANY ounces one has. So it DOES matter what one pays today because in the future, that extra ounce of silver you can get by timing the price dips (not hard to do in this manipulated market) might represent a week’s worth of food. David’s article highlighted that the diffence in OUNCES when purchasing coins at various price points is miniscule, proven out by the math. As for “timing the price dips,” if it was “not hard to do” we’d all be rich. It is decidedly not because ANYTHING can hapen at any time, particularly as we near the END GAME of the entire global financial system. 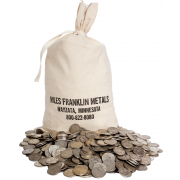 All that matters is that you exchange dollars for ounces, as whether you buy at $1,600/oz or $1,700/oz will be meaningless when the price is $10,000/oz, $20,000/oz, or a hyper-inflated $1,000,000,000,000,0000,0000 like it was in Weimar Germany. I try to be diplomatic in my role here, but it is difficult to be so in the face of jackasses like Edelson, who frankly I had NEVER HEARD of until a month ago. He is a classic “top caller,” whose writings only serve to scare people and lead them into counterproductive actions. Moreover, if he actually believes silver will not be in shortage, you can add “moron” to his list of credentials. Mega-thanks for your rants! They have certainly been smelling salts that have awoken me from a bankster induced stupor. I needed to hear this years ago. Something has been bothering me a bit lately. 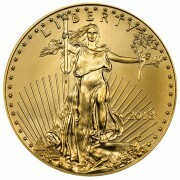 In my mind, it almost seems at present illogical to buy gold rather than silver. I think I understand gold’s role and its future, but it just seems like at present silver has gold beat for upside potential and affordability. Am I missing part of the picture in my understanding? Do you have any words of wisdom on the balance between gold and silver? PS: Thanks again for the Vertical Limit clip. It was really intense watching Angela Merkel screaming down the rope to Greece to not hold a referendum. Ah so that was you calling, as I couldn’t hear your name clearly in the message. As for gold vs. silver, there is no right or wrong, only personal preference. Both are monetary metals, both are suppressed, and both will rise exponentially in the coming years. In the near-term, silver will be more volatile because its monetary usage is not as widely understood. Additionaly, it is a much smaller, more maniulatable market, and thus far more volatile. Ultimately, silver will rise by a far higher percentage, but will be far more volatile. My percentage is 60/40 gold/silver, but if I owned 60% or 70% silver I would feel just as comfortable. It’s all up to your personal preference. be a mighty stormy sea. Sadly, “the sooner the better” couldn’t be more true. The longer TPTB keep the system afloat with increased debt and shady dealings, the more catastrophic the eventual crash. Larry Edelson has so many years invested in his “cycles” prognostications that he and other techies like him are incapable of understandings that cycles, waves,charts and the reading of the entrails of sacrificial animals for the purpose of predicting the future behavior of pm’s are of no value in a thoroughly manipulated market. Most infuriating about such seers is their absolute refusal to admit that manipulation even exists. The past is not prologue in the metals markets and manipulation trumps everything at this time. I couldn’t agree more. My main issue with newsletter writers are when they try to convince you their “proprietary technical research” will be profitable. Most people that listen to them lose money, particularly in recent years as technical analysis has been rendered usesless (in PM and ALL other markets) by manipulation. For those that have built subscriber bases via such “proprietary technical research,” they simply will never admit their work is now meaningless, and thus pretend manipulation doesn’t exist or outright bash those who suggest it.